Wire Fraud Allegations Defense Attorneys - Oberheiden, P.C. How Can I Defend Against Wire Fraud Allegations During a Divorce? It is not uncommon during a contested divorce for angry or threatening words to be exchanged between spouses. However, some spouses choose to escalate the situation by accusing or threatening to accuse the other spouse of a crime, such as wire fraud. If such charges are brought, the results can be devastating for the accused spouse. In addition to the legal and reputational consequences of facing criminal allegations, the accused spouse will also be forced to retain a federal criminal defense attorney. Baseless allegations are particularly troubling, but also particularly common, as a tactic to affect child custody determinations. 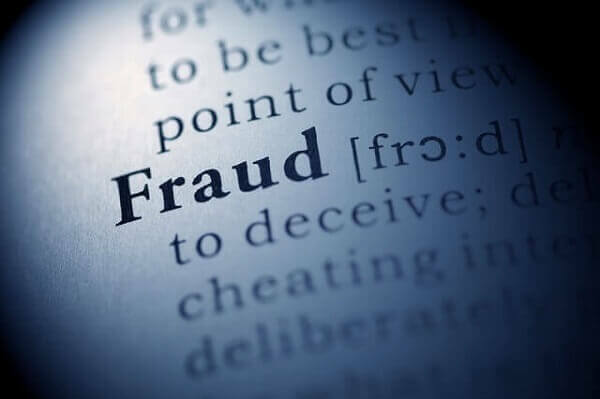 The federal wire fraud statute punishes individuals who use wire, radio, television or internet communications as a mean of obtaining money or property from others under false pretenses. 18 U.S.C. § 1343. Wire fraud is a felony punishable by up to 30 years in federal prison and a $1 million fine. 18 U.S.C. § 1343. Allegations of wire fraud are investigated by the United States Secret Service in cooperation with the local United States Attorney’s Office. The Secret Service is charged with investigating fraudulent activity conducted through our nation’s electronic and telecommunications systems. Federal prosecutors take allegations of wire fraud very seriously and an accusation of wire fraud should never be ignored. Merely being under federal investigation for wire fraud could have a devastating impact on your career or business. Federal investigators have the power to seize records, files and other documents from your home or business and they may freeze personal or business financial accounts. If you enter a plea deal, having a felony conviction on your record will likely cost you any professional licenses that you have and could result in further restrictions on your life and livelihood, such as being barred from many employment opportunities, many federal benefits, and gun ownership. Even if you are eventually acquitted, defending a federal charge of wire fraud will likely cost you hundreds of thousands of dollars in legal fees and expenses. Any spouse accused of wire fraud should immediately contact attorneys who understand contested divorces and have experience defeating federal charges. The sooner you take action against accusations or threats of accusations of wire fraud, the more likely you will be to avoid criminal charges and the costly consequences of a federal investigation. At Oberheiden, P.C., our attorneys regularly defend federal criminal charges and represent clients facing contested divorces. Our attorneys have handled many complicated and contested divorce proceedings. Additionally, many of our attorneys worked as federal prosecutors before becoming criminal defense attorneys. The attorneys at Oberheiden, P.C. can assess your case and help you determine an appropriate defense strategy. If the accusations of wire fraud are merely a vindictive attempt by your spouse to gain leverage in your divorce proceedings, we can help you take measures that will prevent or reduce any investigative interest into your case. Our lawyers can communicate with the authorities on your behalf and allow you to safely cooperate with the investigators without incriminating yourself or damaging your case. Conversely, if we determine that the accusations of wire fraud may have merit, we can help you build a defensive strategy that will result in the most advantageous outcome under the circumstances. Our number one objective is always to avoid criminal charges for our clients. If your spouse is threatening you with accusations of wire fraud, you should call Oberheiden, P.C. today for a free and confidential consultation. Our veteran attorneys are standing by to speak with you directly about your case.